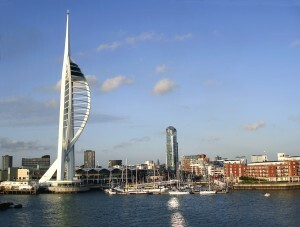 Portsmouth, VA is located in the popular Hampton Roads region, just next door to Virginia Beach. Bordering the Elizabeth River with a harbor in the Hampton Roads body of water, Portsmouth’s reputation is that of a quaint port town. Although Portsmouth’s population is actually quite large, numbering nearly 100,000 residents, a number of factors contribute to the feeling of a well-knit community. Locally owned shops and boutiques line main streets and delightful dining establishments provide an incredible range of cuisines. Numerous attractions, cultural and recreational, add to the quality of life for Portsmouth VA residents. The town is home to the state’s largest children’s museum, providing educational exhibits to entice patrons of all ages. Avid golfers are sure to enjoy teeing-off at the Bide-A-Wee Golf Course, named the best municipal course in all of Virginia. Public parks, wildlife preserves, and plentiful coastline provide a plethora of boating, hiking, and fishing opportunities. Portsmouth’s prime location also allows easy access to the world-famous sandy beaches of Virginia Beach, only 20 minutes away. Travel by car to Williamsburg is only about an hour, and leads to world-famous tourist destinations like Busch Gardens and Colonial Williamsburg. Ferry service from Portsmouth to Norfolk is also available, where tours of the Nautilus National Maritime Center and the USS Wisconsin are available. Norfolk also offers cultural amenities like the Chrysler Museum of Art and the Virginia Opera. Sports fans can visit the Norfolk Tides AAA Baseball team or stay in PortsmouthVA to visit the Virginia Sports Hall of Fame and Museum. 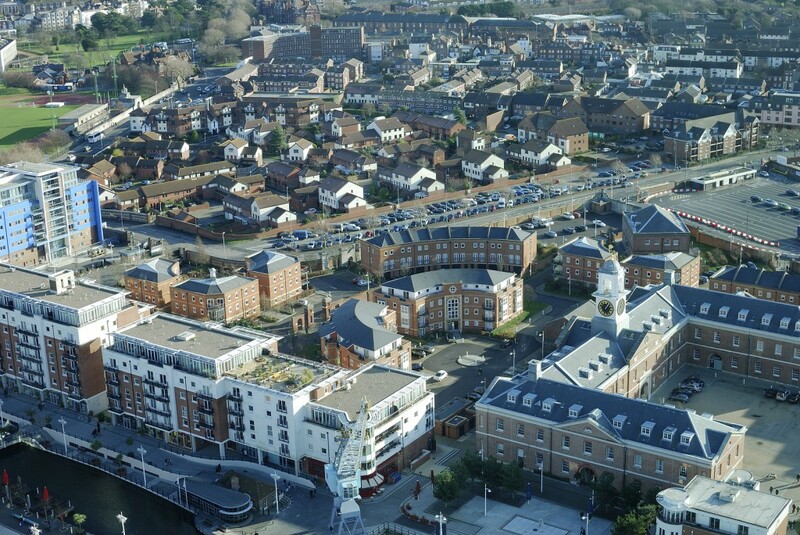 A high quality of living in Portsmouth VA is aided by its stable economy. 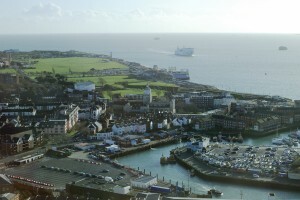 As home to several military installations, as well as its incredible history of maritime success, Portsmouth’s economy has thrived despite recession conditions generally felt nationally. Neighborhoods throughout Portsmouth VA have been heavily shaped by the economy of the area. The community of Cradock was formed in 1918 to provide housing to wartime workers who relocated to the area to assist with the war effort. The oldest area of Portsmouth is known as Olde Town, established in the 18th Century overlooking the Elizabeth River. Historic Portsmouth homes line the streets, with over 20 blocks of homes constructed in the 18th and 19th Centuries. Queen Anne style Portsmouth homes with ornate towers and gables are popular in the community of Park View. Neighborhood selections are incredibly vast, and range all styles and budgets, from contemporary single-family homes to apartments and townhomes. The median price of Portsmouth VA Homes is currently around $122,000 for a single-family Portsmouth home. With a variety of neighborhood personalities, Portsmouth home prices vary significantly based on factors including distance from the water, floorplans, styles, and history. Fully renovated historic Portsmouth VA homes fetch prices in the $600,000′s, but fixer-uppers are often found in the $250,000′s. Portsmouth Condos and Portsmouth townhomes are more affordable, at around $100,000 for a modest property. Sub-development Portsmouth homes are frequently available, featuring new constructions and modern amenities at reasonable prices well under $200,000 for spacious, four bedroom homes. Portsmouth’s coastal location also means Portsmouth VA waterfront homes or water view properties are readily available and moderately priced. Quaint Portsmouth homes on Paradise Creek are often priced at well under $100,000. However, Portsmouth VA mansions are also an option, and Portsmouth Luxury homes with sprawling lots and relaxing water views can carry a price tag of $400,000 to nearly $1M. With so many options to choose from, Portsmouth VA is sure to offer the perfect property for your needs. With its incredible military concentration, Portsmouth and the surrounding Hampton Roads region is known for welcoming and accommodating soldiers and their families. Still, relocating is often a difficult process. Let Stone Realty help by making your transition a bit easier. As experts in Portsmouth VA homes and realty, let the Stone Team assist you in navigating the market to find the perfect blend of value, comfort, and convenience. Though Portsmouth real estate prices are at at all-time low in the area, the resilient local economy has allowed the market to rebound. The Stone Team is ready to help you and your family find the perfect Portsmouth home. Don’t risk missing out on your opportunity to live the lifestyle you’ve always pictured. 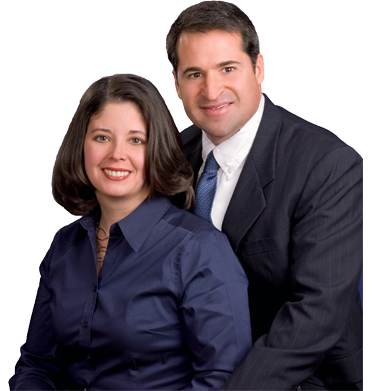 Get started on finding your dream Portsmouth home with Portsmouth VA realtors Kim & Dave Stone of the Stone Team today by searching Portsmouth VA homes at the top of this page, or by giving us a call directly at (757) 565-1043.